The legate was a man from an aristocratic background. Typically in his mid-thirties, the legate would command the legion for up to five years and hope to make something of a reputation for himself in order to enhance his subsequent political career. The camp prefect would be a grizzled veteran who would previously have been the chief centurion of the legion and was at the summit of a professional soldier’s career. He would have vast experience and integrity, and to him would fall the command of the legion in the legate’s absence. Six tribunes served as staff officers. These would be men in their early twenties serving in the army for the first time to gain administrative experience before taking up junior posts in civil administration. The senior tribune was different. He came from a senatorial family and was destined for high political office and eventual command of a legion. Sixty centurions provided the disciplinary and training back- bone of the legion. They were hand-picked for their command qualities and a willingness to fight to the death. Accordingly their casualty rate far exceeded other ranks. The centurions were ranked by seniority based upon the date of their promotion. 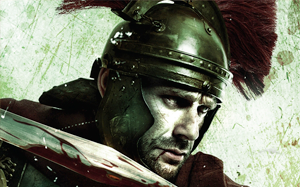 The most senior centurion commanded the First Century of the First Cohort and was a highly decorated and respected soldier. 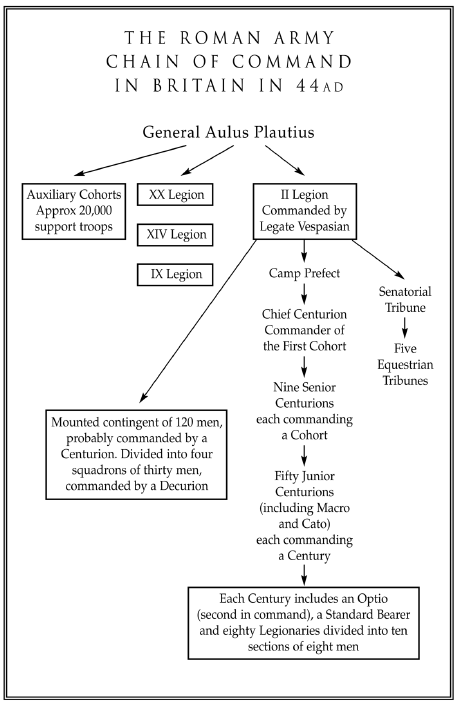 The four decurions of the legion commanded the cavalry squadrons and hoped for promotion to the command of auxiliary cavalry units. Each centurion was assisted by an optio who would act as an orderly, with minor command duties. Optios would be waiting for a vacancy in the centurionate. The legionaries were men who had signed on for twenty-five years. In theory, a volunteer had to be a Roman citizen to qualify for enlistment, but recruits were increasingly drawn from provincial populations and given Roman citizenship on joining the legions. Lower in status than the legionaries were the men of the auxiliary cohorts. They were recruited from the provinces and provided the Roman Empire with its cavalry, light infantry and other specialist arms. Roman citizenship was awarded on completion of twenty-five years of service, or as a reward for outstanding achievement in battle.